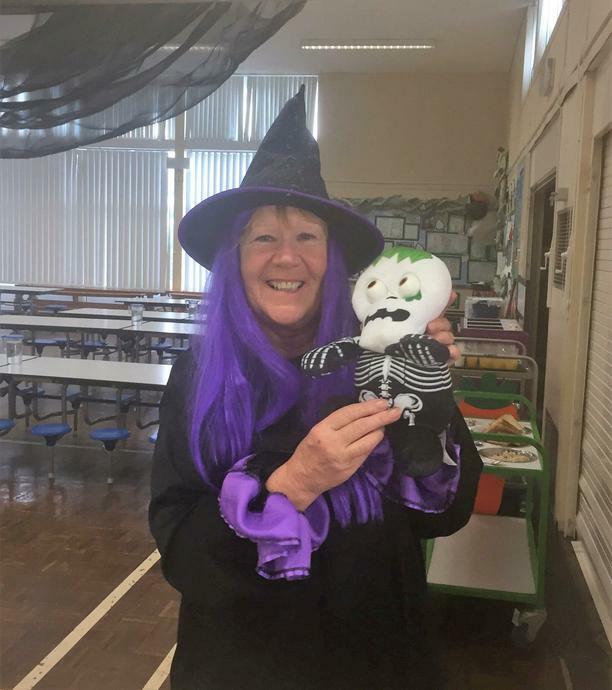 Halloween Celebrations at Ryton Junior School! 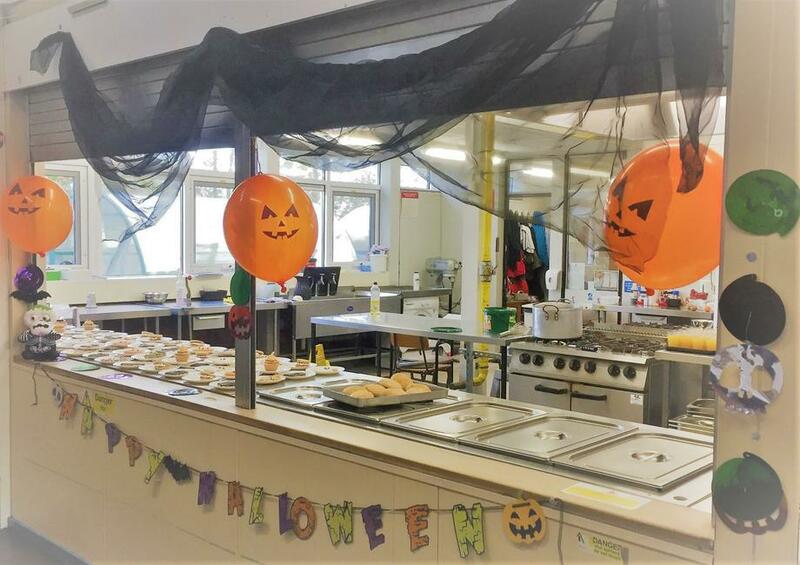 Lunch was rather spooky today! 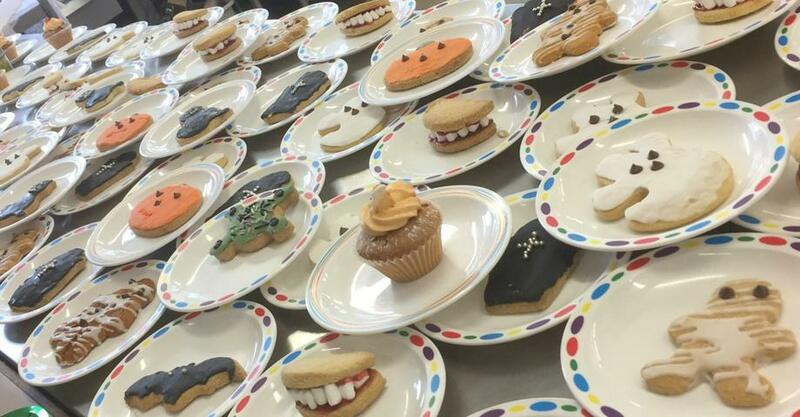 The children were so excited about the Halloween-themed biscuits and cakes . 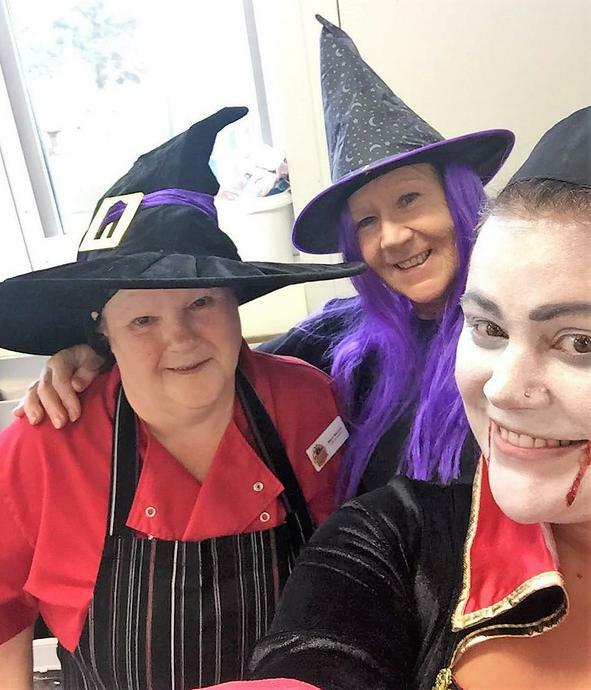 The kitchen staff really went to town on the decorations and entered into the spirit of the day by getting dressed up to serve the children! Thank you so much to Dot and her team- a fantastic effort!